Gym Insight Now Internationalized for Canada! Since the launch of Insight, we have had a significant interest from our neighboring country, Canada. Slowly, but surely, we have been working on internationalizing our program for Canadian use. We are excited to announce the on-board of our first Canadian gym just a few weeks ago. After beta testing and working out some bugs, we are now ready for the Canadian gym market. Gyms in Canada can now enjoy the ease of use of Insights’ management program, check in access system, and recurring credit card billing through Authroize.NET. 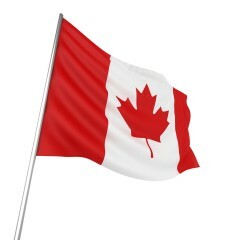 Insight sends a warm welcome to Canada and invites you to give the gym software a try under no obligation! 3) Select the “locations” tab located at the top right hand side of the screen. The icon looks like a house. 4) Scroll down to “Settings”. 5) In the “General” screen, select your time zone and region. Canada, we would love to hear your thoughts and feedback to better our program for you!